From the days of pasting up paper graphic elements with hot wax onto art boards and creating type galleys on typesetters, I have been producing "nechanicals" for ring media for at least the 45 years. Of course I new use advanced computer software that allows this process to happen in hours rather than days and with far greater accuracy and creative possibilities. While I am not as low cost or no cost as your friend or relative who has a computer and some experience, I pride myself in providing professional quality work at reasonable and negotiable rates. That is important if you want the job done right. 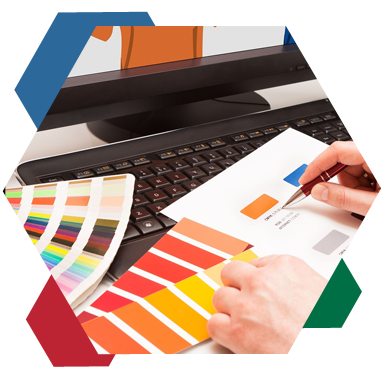 If you have the need or are considering producing a brochure, advertisement, catalog, product data sheet, or anything else that gets printed, I have the expertise and facilities to get the job done. And done with attention to detail, quickly, and at reasonable and negotiable cost. 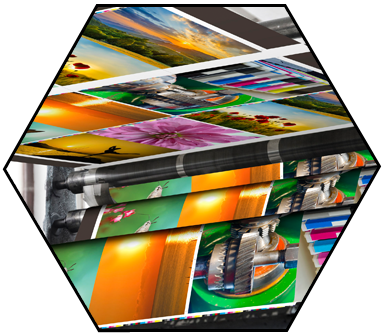 I can assist in any and all aspects of preparing graphics for print media from concepts and design, layouts using Adobe In Design and Photoshop, and outputting to a .pdf format ready for your printer. You have the chance to proof read and guide production along the way. You are a writer or editor. Perhaps little or no computer graphics experience. That's where I come in. 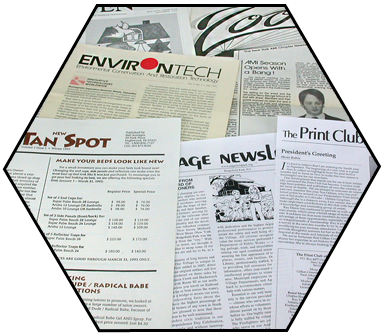 Each month or as often as your periodical comes out, you furnish me with your materials, text and photos, and I handle the routine production work. You have the chance to proof read along the way and when it finally meets your approval, I furnish you with a .pdf file that you present to your printer. These files can of course be sent directly to the printer or to your webmaster for use on your website. Since about 1989 I have has continuous experience in newsletter production. For almost 20 years I have been a graphic artist for the Jewish Standard newspaper in Northern New Jersey.